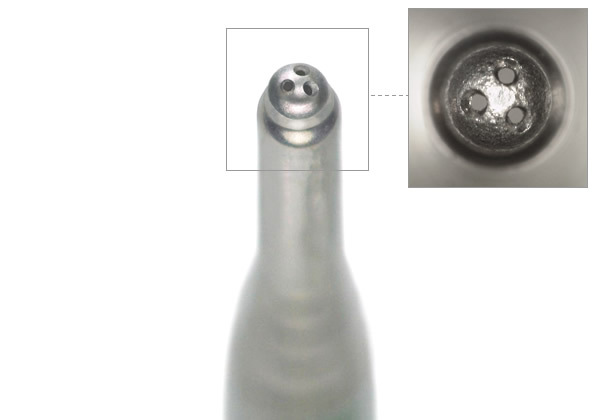 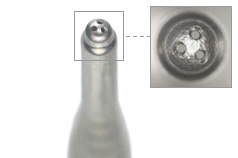 Three 0.14 diameter miniature holes created on the tip of an extruded shank. 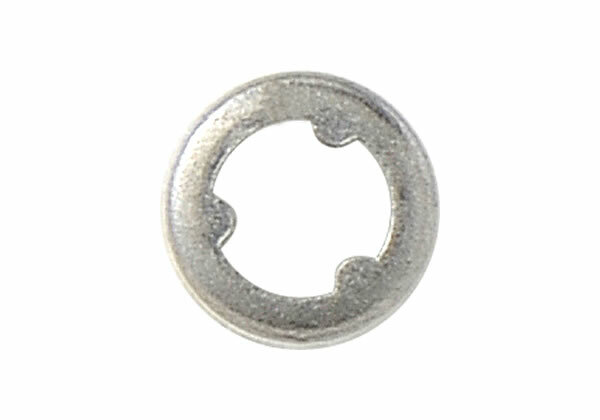 Example of a part with three through holes. 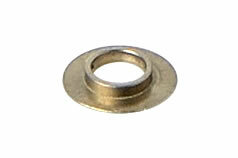 Example of a part with an elliptical hole. 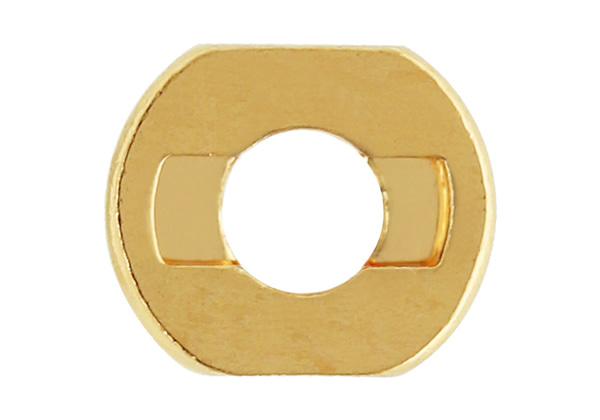 Example of a part with a multi-sided (octagonal) hole. 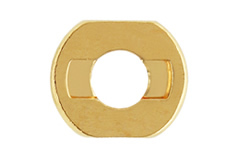 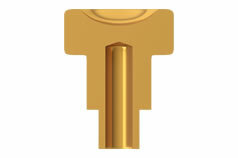 Example of a part with an irregularly-shaped square through hole. 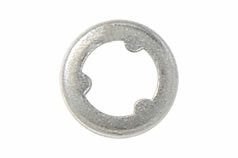 Example of a part with a specially shaped hole. 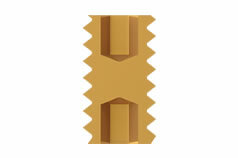 Example of a thin-walled part with a rectangular side hole. 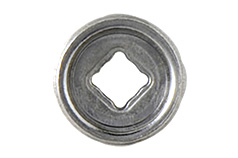 Example of a two part assembly with a side hole. 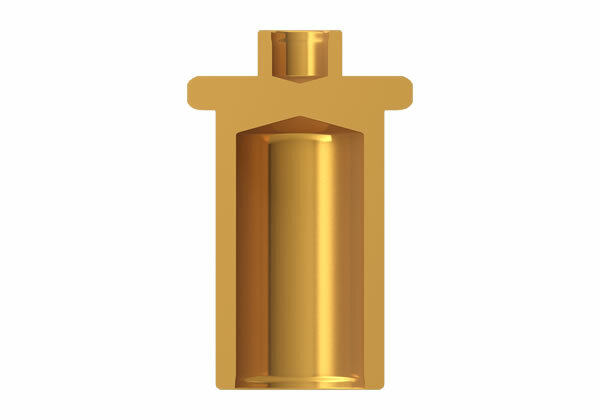 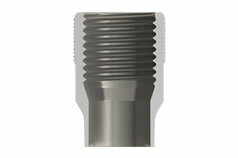 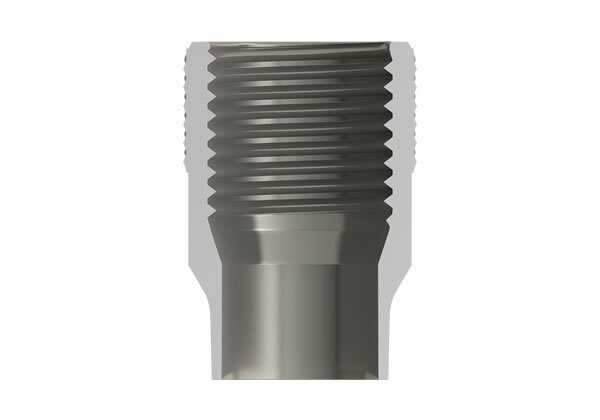 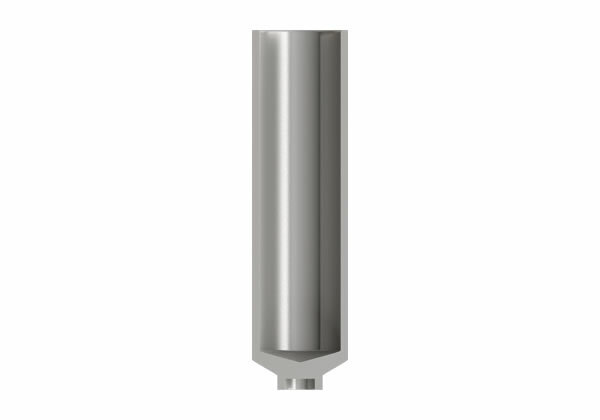 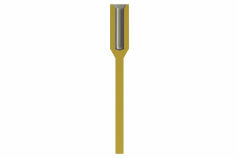 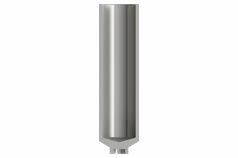 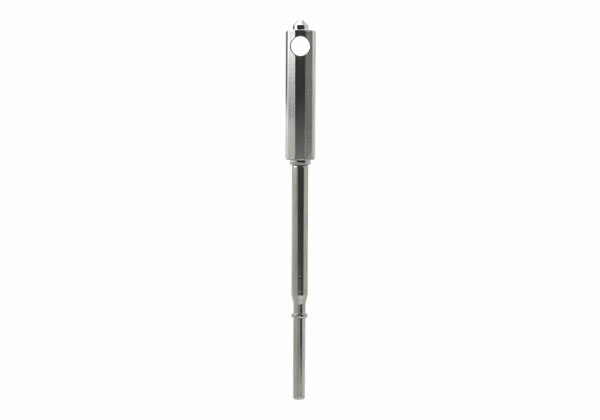 Example of a hollow part with an M10 thread on the outside. 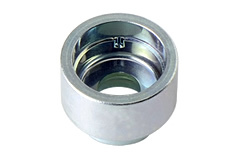 Example of a part with a deep hole. 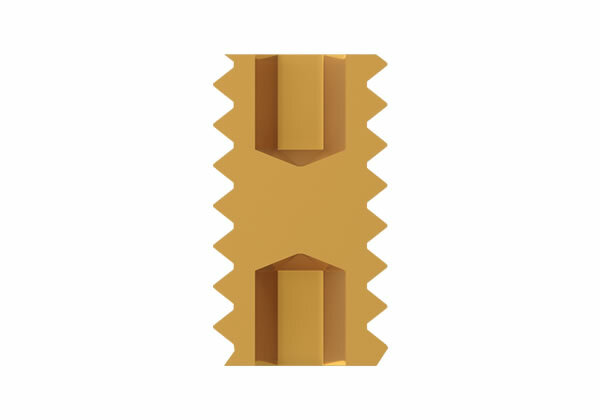 Example of a part with thin-walls and a deep hole made with a special material. 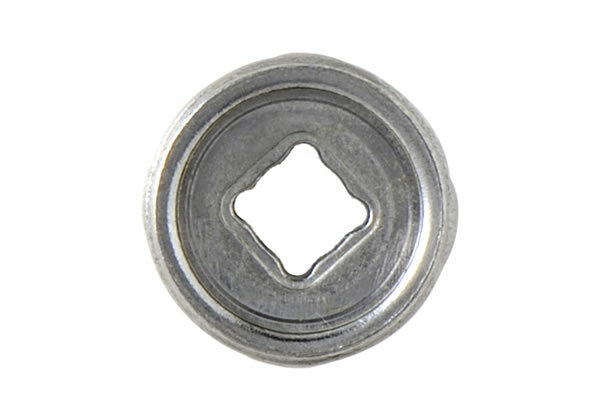 Example of a part with a through hole through both flange and shank. 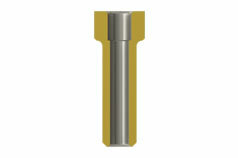 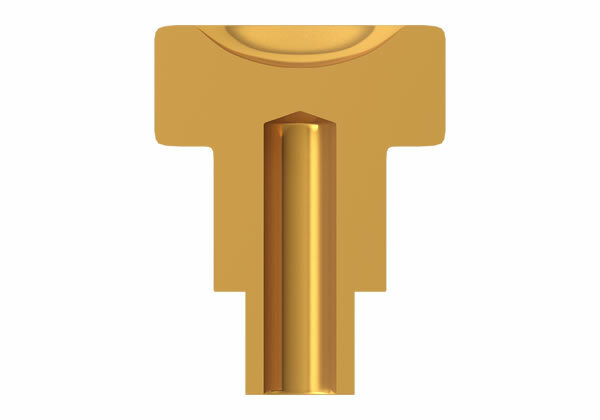 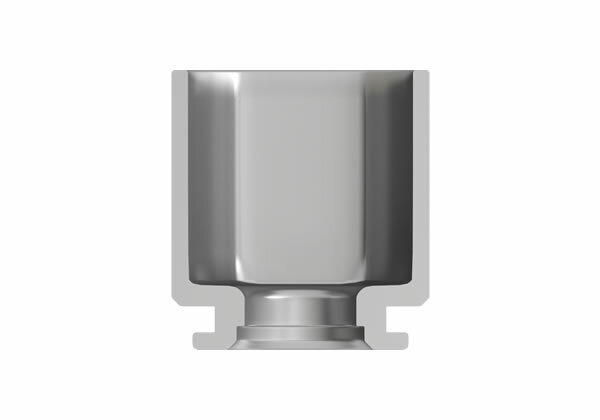 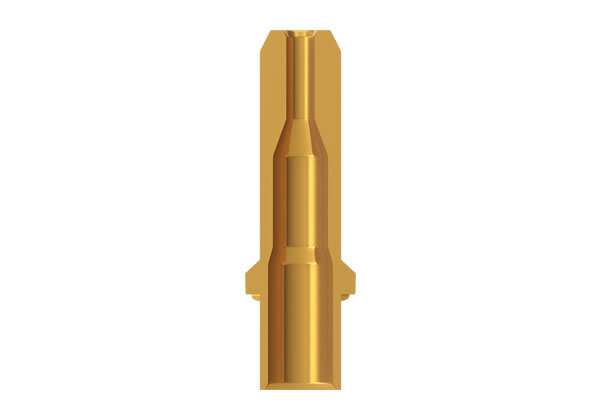 Example of a part with a deep hole (over 4.5mm deep, 1.2mm in diameter). 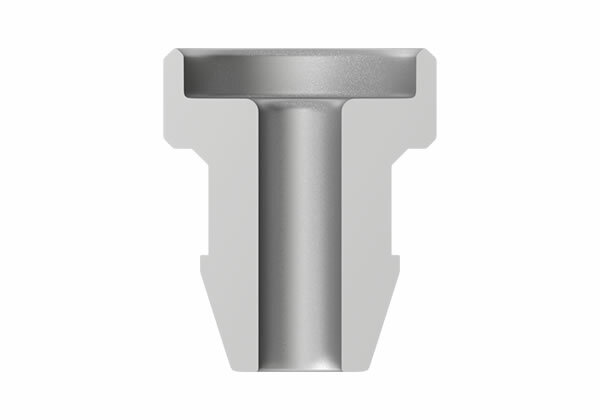 Example of a cold formed part with a notch and an elliptical flange. 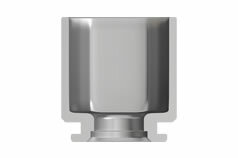 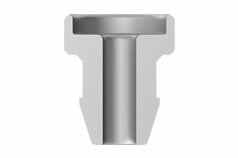 Example of a part with a notch and two flanges made on a single machine. 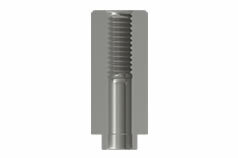 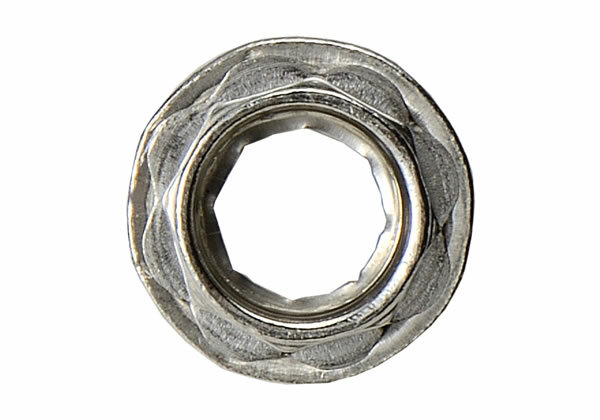 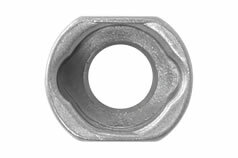 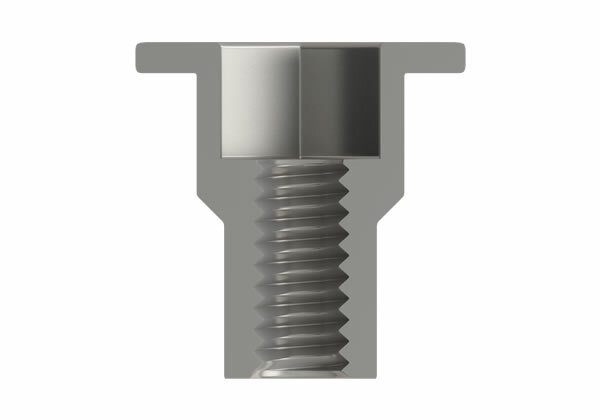 Example of a set screw with hexagonal holes on both ends. 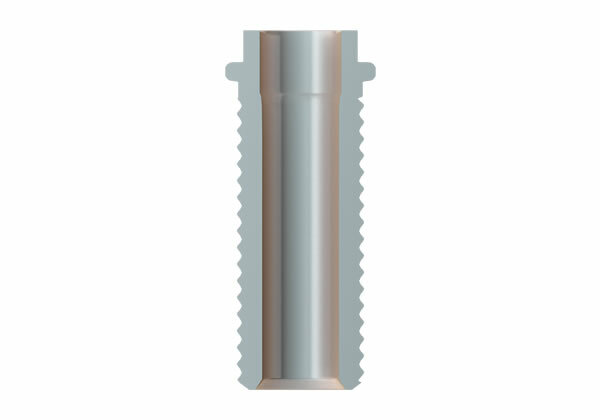 Example of a part with threaded holes on both ends. 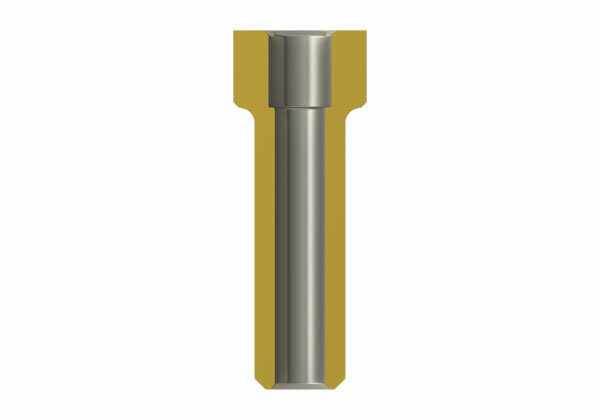 Example of a part with different diameter holes on each end. 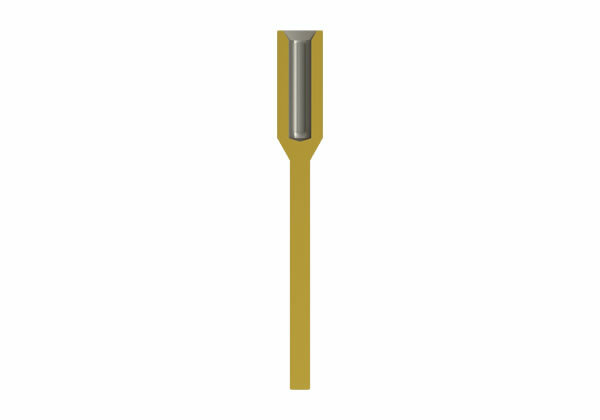 Example of a part with an irregularly shaped shank and with holes at both ends. 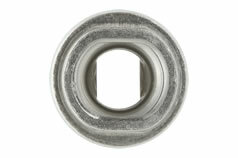 Example of a part with a through hole and small radius edges. 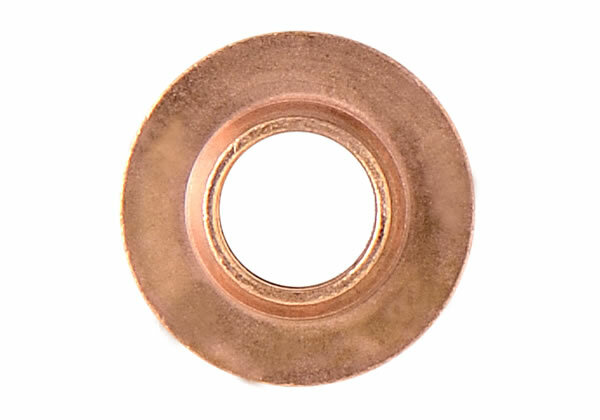 Example of a disk-shaped part with a through hole. 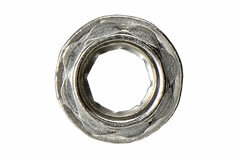 Example of a thin-walled part with a through hole. 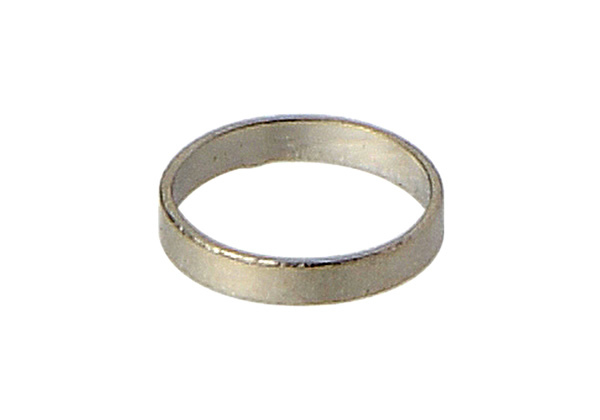 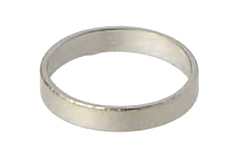 A 0.2 mm thick-walled ring. 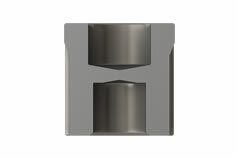 Example of a part made with a through hole at high production speed. 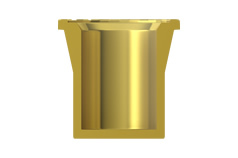 Example of a part with an unusually shaped through hole. 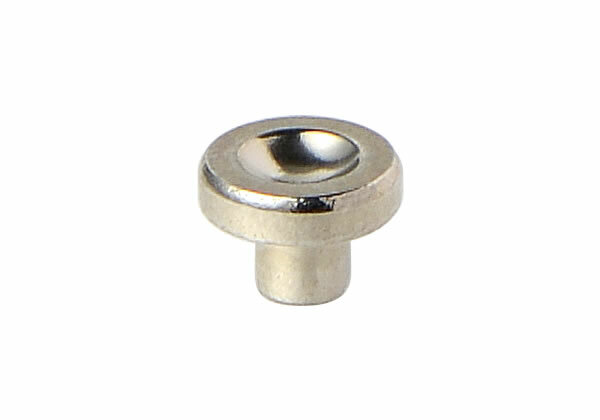 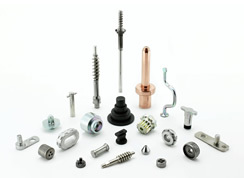 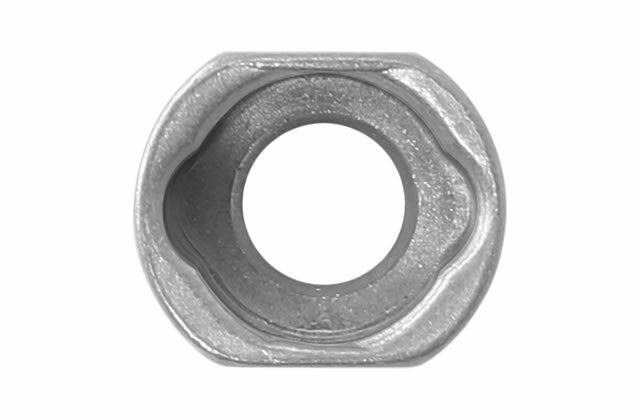 Example of a part with a threaded through hole. 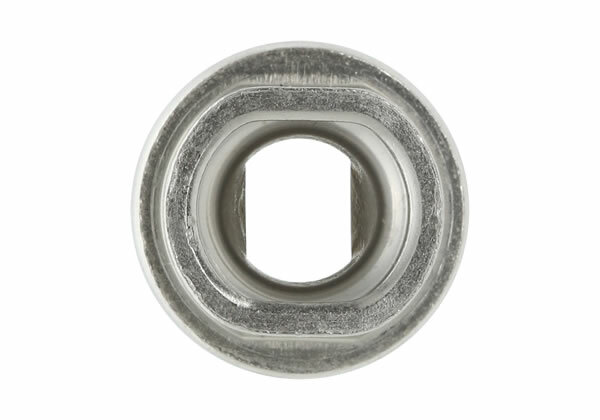 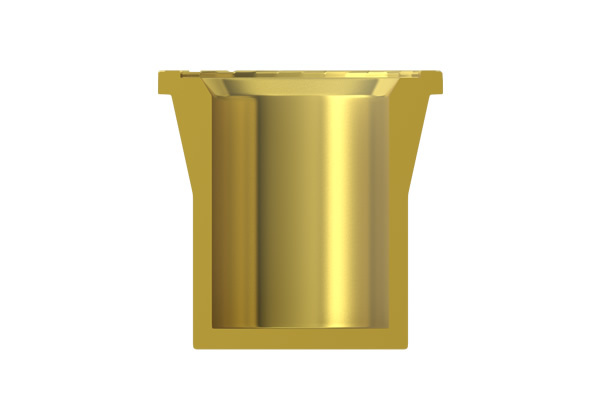 Example of a part with a stepped through hole (hexagonal hole and threaded through hole sections). 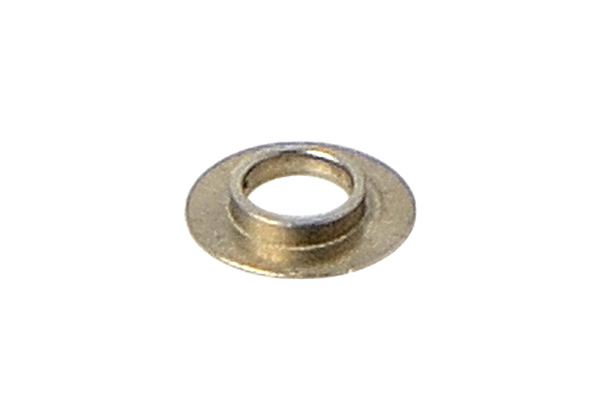 Example of a part with a flat-bottomed hole. 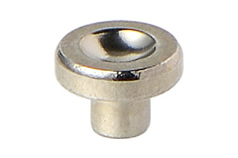 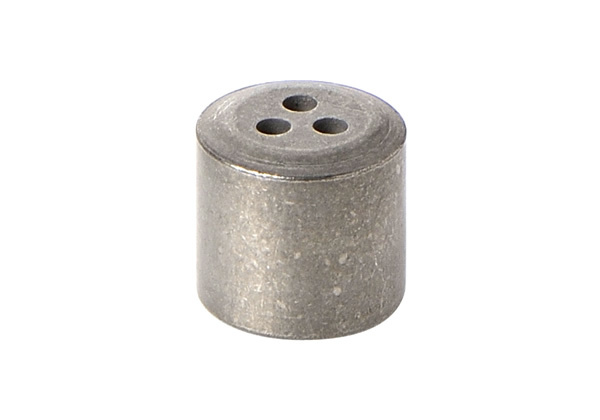 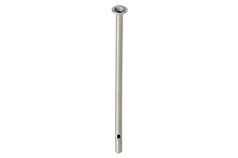 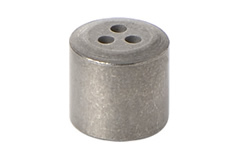 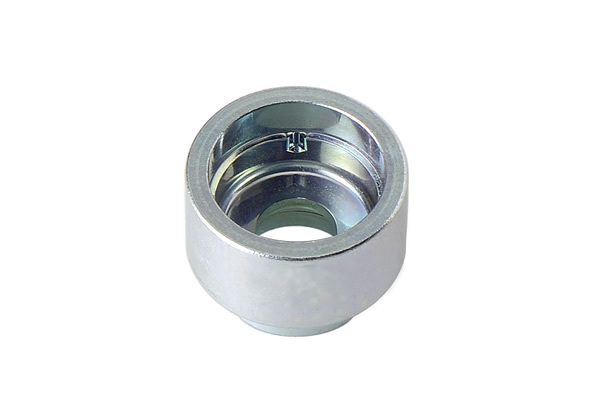 Example of a part with a round-bottomed hole.